This was a recent conversation we had on the way to take Katy to spend the night at my mama’s house. 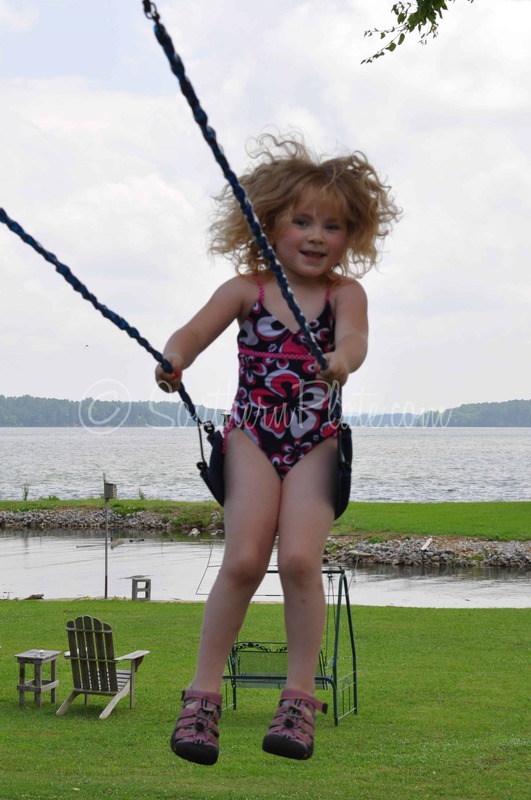 My kids don’t get to spend nearly as much time as I’d like with my parents because they live a pretty good bit away from us and I understood her excitement completely. There really is something magical about Grandparents. Saturday night was Hee Haw night! My rambling today actually is related in a roundabout way to the recipe. ‘Course, I could just get right to the point, describe the dish, and give you the recipe, but wheres the fun in that? My grandparents used to love ice cold buttermilk and though we scoff at drinking it these days (most folks going for whole or “sweet” milk as they used to call it), I can fully see why it would have been a treat long ago. You know how kids today like sour things, candy and even drinks? 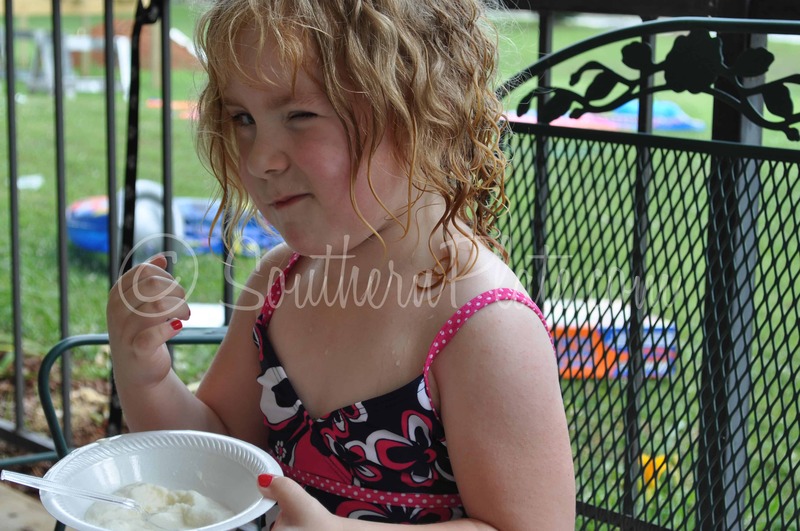 I can see how a child of the depression would look forward to a cold glass of rich, sour buttermilk the same way. I’d give anything to be able to have one more Saturday night at Grandmama and Grandaddy’s house in good old Huntsville, Alabama. With that bit of nostaliga, here is a classic Southern recipe for you. Simple yet delicious, with our beloved buttermilk as the headlining ingredient. I’ll save ya a slice, Grandaddy. 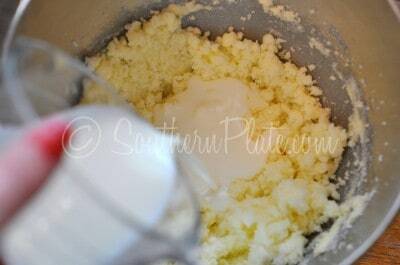 You’ll need: Sugar, Buttermilk, Vanilla, Eggs, Flour, and Butter or Margarine. You also need a little lemon juice but I don’t have any right now so we’re making do without it. I’ll put it in the ingredient list down in the recipe though. I really prefer making do to making a special trip to the grocery store. That’s how folks did it in the old days anyway. 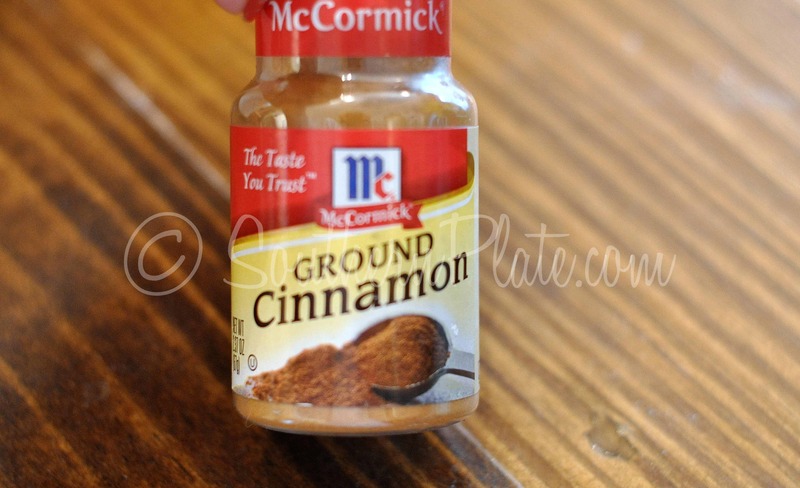 A little cinnamon is nice for the top, but not required. You’ll also need an unbaked pie shell. 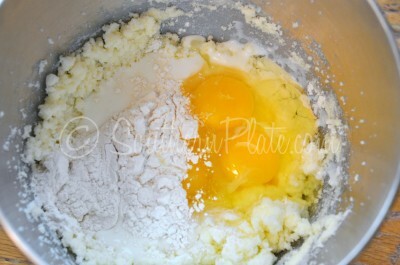 I am using my mix in the pan pie crust recipe here but you can just buy one if you like. Bake for about forty minutes, or until browned. Remove from oven and allow to cool. Note: This pie will be a little jiggly in the middle but as it cools it will set. I prefer to serve mine cold. This has a very simple and light taste, its perfect to serve with berries or fruit. 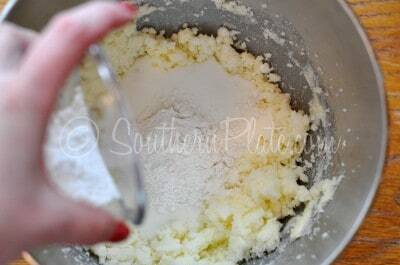 It’s also pretty if you sprinkle each slice with a little confectioner’s sugar like I did in this photo. 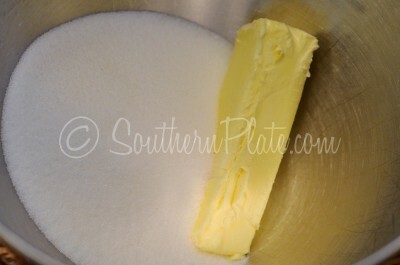 I’ve never made this pie with Splenda but you can substitute that for the sugar if you like, just remember to measure it out light and fluffy, and remove a tablespoon or two so that you are using a weeee bit less Splenda than sugar, this will help avoid the artificially sweetened taste. Another sugar substitute that I’ve tried recently is one called Ideal Sweetener. I absolutely cannot tell the difference between that one and real sugar AND you can even bake with it. I’m having a hard time finding it in my area but you can visit their website to find out where they may have it near you. It is the closest thing to real sugar I have ever tasted (without being real sugar). 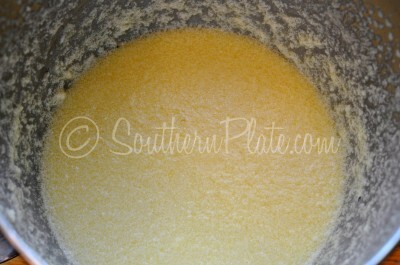 In mixing bowl, cream sugar and butter together until light and fluffy. Add in all remaining ingredients. Sprinkle cinnamon over the top, if desired. Bake at 350 for forty minutes. Let cool and store in refrigerator. Had a spoon and egg race? Saw how many cotton balls you could transfer to a bowl using only a glob of Vaseline on the tip of your nose? Touched the sky with your toes? 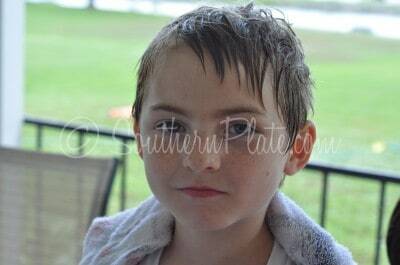 Picked out your favorite freckle on the face of someone you love? Those of us who use DISH as our TV provider receive Hee Haw on Sun nights 7pm CST on Channel 231. Its so neat to relive those memories. 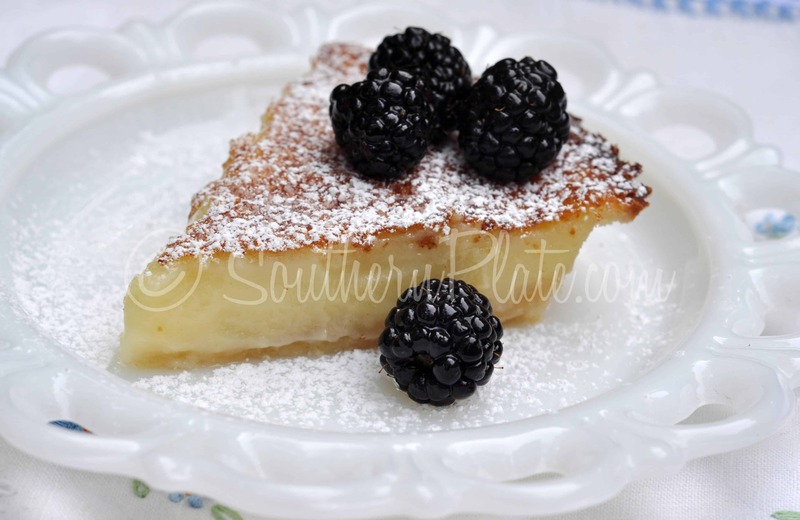 We love buttermilk pie too! Hope your trip to NYC is GREAT! Just hurry back to bammyland to keep us on our toes with your cooking. Oh how I miss TV you never had to turn off when kids walked in the room! Thank you so much Sharon, I’ll be back in two shakes of a lamb’s tail! Hee Haw comes on RFDTV. They have links on their homepage for DirectTV, Dish Network and Cable. Maybe you can find it. This is too funny! My hubby and I were visiting my parents a week ago this last Sunday, and they were getting ready to watch Hee Haw!! They asked if we wanted to stay and watch with them. Since my hubby goes to bed at 8pm we couldn’t stay. But we used to watch it every Saturday night, too. How I miss those simpler days when we didn’t have to worry about all the things we do today! Thanks Christy (again) for bringing some wonderful memories to mind! Have fun in NYC! Take lots of pictures! Christy, go to Amazon.com. They have DVDs of many Hee Haw episodes, even the 10th Anniversary 2 hour show. Christy, GMC has also started playing the Waltons! (which is one of the shows my mom and I both like to watch) Sometimes, Dr. Quinn can be a bit too much for me, but my mom loves it! Also, if you get RTV (retro channel) they show old shows like Daniel Boone (which all of my family likes!) RTV is usually part of a local station. (here it’s a digital offshoot of ABC) Just thought I’d throw that out there for you. Christy, I love your stories! They’re what makes your recipes so special. 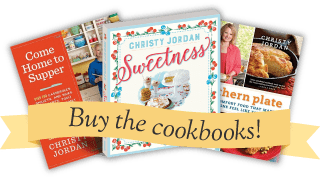 Although I have a lot of cook books (and do love them), I tend to make most of my recipes from Allrecipes.com (love reading the reviews) and now from your blog because I like hearing people talk about the recipes they make. Incidentally, I have done all of those things you mentioned (except for the cotton ball one) pretty darn recently. I guess I should count myself lucky! As for the actual recipe, I would make this tonight to go with our Memorial Day barbecue, but I don’t have any buttermilk. I’m going to try a recipe for chocolate chip cookie pie instead. 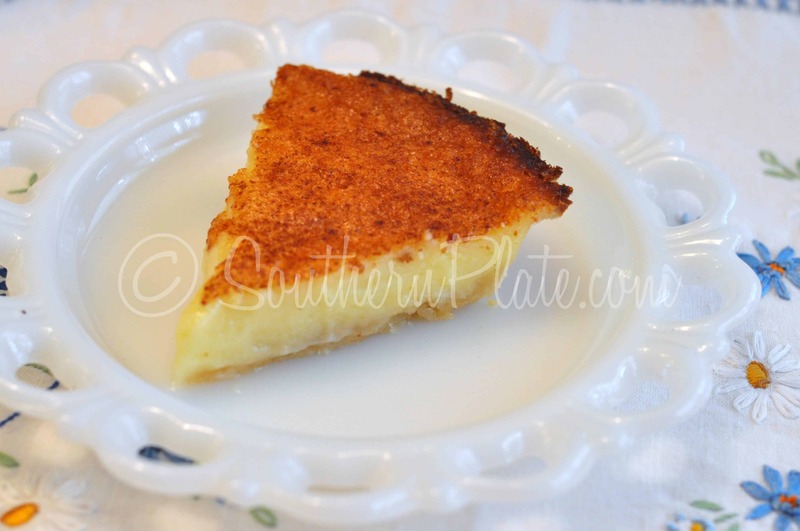 I’ve only had buttermilk pie once about 6 years ago- I visited my dad down in Louisiana and we went and toured the Houmas House plantation (I love old plantations), then we went to this tiny restaurant. Dinner was great, then we ordered buttermilk pie for dessert because we’d never had it. It was so good, and that was a wonderful day spent with my dad who I only get to see once every year or so. Christy, I hope you have a great time in New York City and I trust that you’ll have lots of stories and pictures to share when you get back! Annarose, you ARE lucky! WOW, I’m impressed!!! 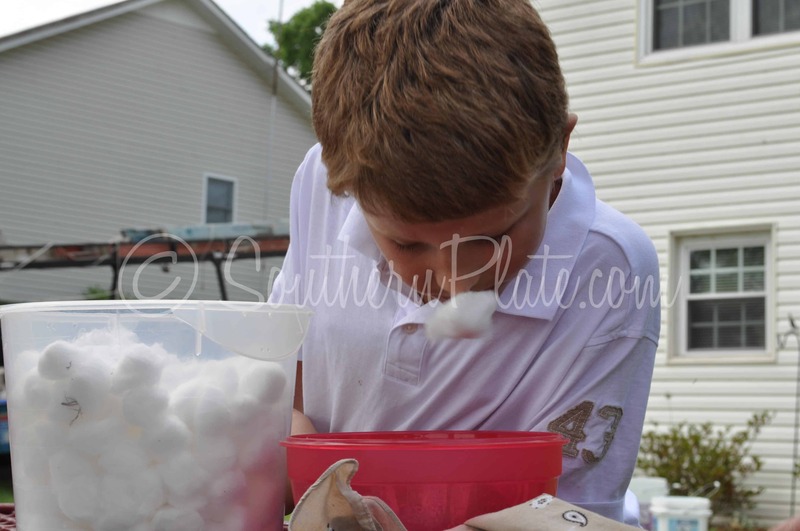 I hope you had a wonderful Memorial day with your family and I’m so glad you’re here on Southern Plate! Just by reading this comment I know you are going to be such a joy to get to know. 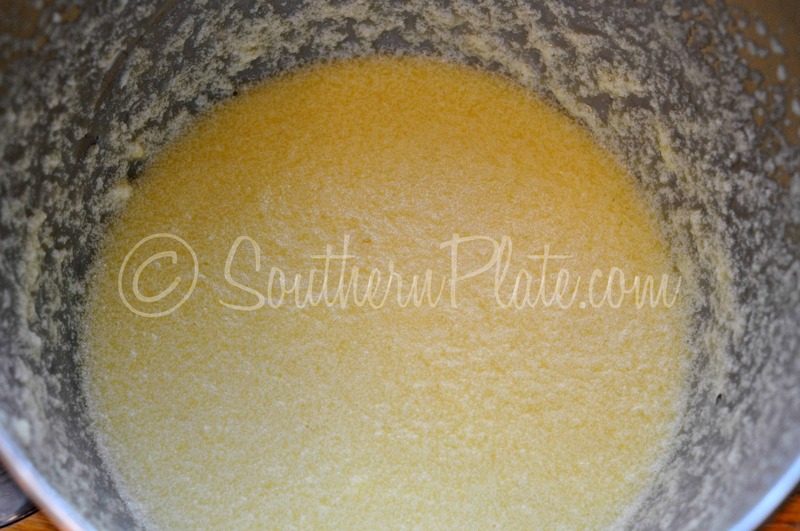 If you ever need buttermilk and don’t want to go buy it, just add about two tablespoons of lemon juice to a glass of whole milk and let it sit for five minutes. 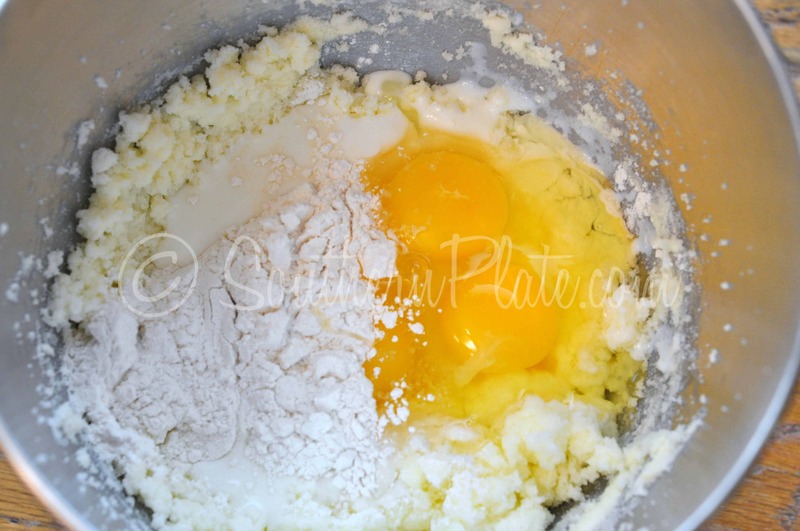 It will get really thick and yummy and makes your perfect buttermilk substitute! Thank you SO MUCH for wishing me well in NYC, I’m crossing my fingers and holding my breath, cross your pinky toes for me!!! My Mom still says ‘a little pig just went by’ when she remembers something a bit “off topic” in a conversation. She’s referring to one of those little pigs that would run by with a sign telling you something on Hee Haw. Only those of us who remember “the little pigs running by” really know what she means! OH!!!!! OH!!!! You just made my heart sing with that wonderful memory! CHRISTY, IT’S REALLY FUNNY THAT WE USE TO EAT MILK AND BREAD TOO AND THE REAL CLINCHER IS THAT MY MIDDLE SON GRADUATED THE 21ST AND MY MOTHER-IN-LAW FROM FLORIDA CAME UP FOR HIS GRADUATION. SHE AND I HAD BEEN TALKING ABOUT A BUTTERMILK PIE. SHE IS FROM UP NORTH AND HAD NEVER TRIED IT SO, BEING THE SOUTHERNER THAT I AM WELL, THAT JUST WOULDN’T DO. YOU HAVE NEVER LIVED UNTIL YOU HAVE HAD A PIECE OF BUTTERMILK PIE. SO I MADE ONE YUMMY. SHE JUST LOVED IT. MY RECIPE IS ALMOST AS OLD AS I AM. SIMULAR TO YOURS BUT I MINE DOESN’T CALL FOR FLOUR, CINNAMON, OR LEMON JUICE. THE MEMORIES THAT WE HAVE CAN NEVER BE TAKEN AWAY. You sound just like me, sister!!!! Oh my goodness Christy!!!!! Some of the best memories of my childhood were at my PawPaw & Granny’s watching HeeHaw!! Even now I have this big goofy smile on my face remembering those times 🙂 AND we had buttermilk/cornbread after supper…. AND my Granny’s Buttermilk pie was so good it made the angels sing hahaha Thank you again for helping us carry on these wonderful wonderful traditions!!! OH, I owe you an apology … I received the Thank you card I sent you back in the mail … I don’t know why they couldn’t deliver it with an incomplete address? I guess I thought everyone knew you?? I’d love to read what you wrote! I was wondering the same thing. I plan to make this for dinner (well dessert after dinner) tonight and already made up the crust. I didn’t bake it yet so I just covered in plastic wrap and put it in the fridge. I’m excited to try this! There are no silly questions here and you are all WONDERFUL cooks!!! That having been said, you don’t bake your crust first, pour your filling in the unbaked crust and then bake it together. That story about you visiting your grandparents touched my heart so. I think that your memories are so sweet. I only went to visit my grandmother one time when I was a child. She lived far from me and I never had a chance to get to know her. My own grandkids also live far from me and I don’t get a chance to see them either. So sad, they don’t know what they’re missing. I am so much fun and I’d spoil them rotten. Thank you for sharing with us. Oh Kathy, I’m so sorry to hear that. We oughta start up a fund to relocate you! A great many grandparents are in your shoes though, and I’ve known some AMAZING long distance grandparents. 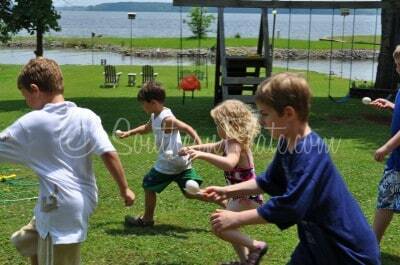 You’d be amazed at how close kids will feel to you just by getting letters regularly and little notes! I know they’ll grow up knowing how much you love them either way! Boy did this post bring back so many childhood memories…thanks!!! My favorite pie! 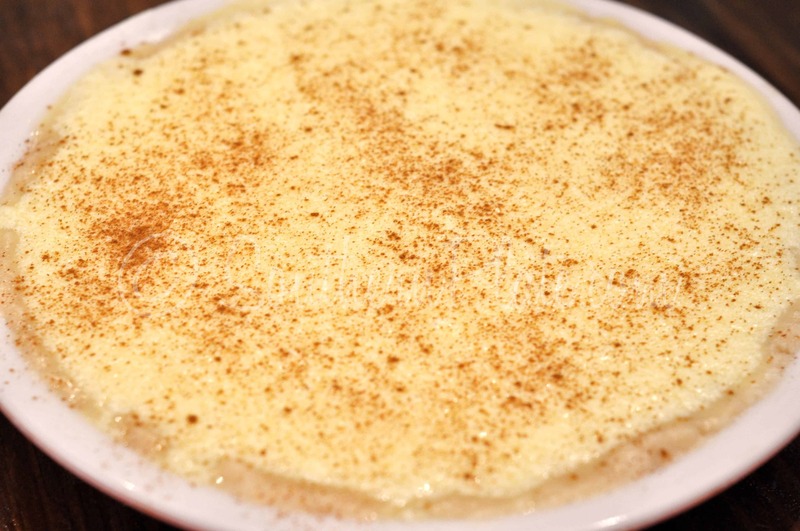 Ours is the same but with just vanilla (no-no-no to the lemon juice) and topped with nutmeg instead of cinnamon. Melt in your mouth good. What wonderful memories you helped bring back. I get on my soapbox every once in a while and tell my kids and grandkids they don’t know what they are missing. I grew up in a small town and loved the stories the older people told us. Wish I had had a tape recorder then. 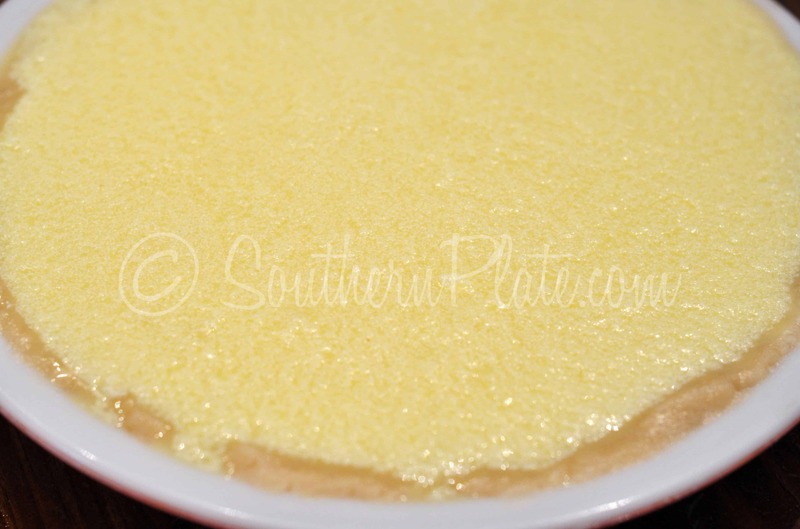 I have never had a buttermilk pie and it looks very pretty and tasty , but I truly don’t like buttermilk so is that the taste or does the pie filling change it? I hope you love your trip to NYC and have a safe journey. Be prepared for culture shock! The prices are so different than in SE Ohio and I live in a three traffic light town so NYC isa concrete jungle to me. I used to love Hee Haw and we do not get it here-I also miss The Waltons. Whenever I watched that I felt like I belonged in that era and area. Loved it through and through. Elaine, you won’t taste the buttermilk. Just as in cornbread, one doesn’t taste the buttermilk; it just gives it a rich flavor that milk doesn’t. Hey, Christy! Great post and precious pictures! Can’t wait to make the pie! Have a glorious day, everyone! I love buttermilk. I still drink it and drink it straight. I used to eat buttermilk and crackers with my grandmother after church on Sunday nights. She would fix a big bowl with two spoons and I would stand beside her on the couch eating it with her. There was something on TV but I don’t remember what. She was also the dessert queen and I inherited that in the family too. I have her Rumford Baking Powder cookbook. I just love to look it and see her handwriting. I miss my grandparents. Thanks for bringing all the memories back. 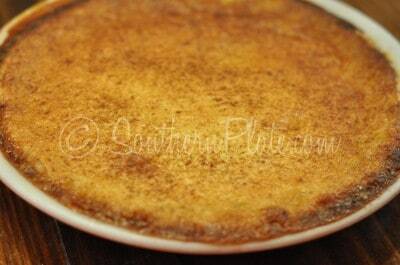 Your Buttermilk Pie looks like a custard tart. Hmmm, I don’t know if you have custard tarts there. I loved Hee-Haw as a kid! And, buttermilk pie is sooo yummy! Your babies are ADORABLE! I just wanna squeeze ’em! Have fun in NEW YORK CITY! We ate more than our fair share of cornbread and milk. Some times my Greats would eat saltines and buttermilk too! Have you done a post on oyster stew? Wish we had known each other during the time that I was living in Athens, AL, because I think we are kindred spirits! Have a safe trip back from NYC! I love reading your blog for this very reason. I grew up with both parents and grandparents watching Hee Haw. We loved the Pffft song. My mom’s family would come over on the weekend and they’d have pickin and grinin at our house or one of the other relatives. My mom played piano, my dad guitar, one of my uncles played the steal my grand father the fiddle, another uncle the mandolin and yet another on guitar. Those days are long gone, and while at times back then I hated them ( just wasn’t cool I thought), I’d give anything to have them all back here again. I’ve lost both my parents, my mom just this past Dec, and my grandfather. I don’t get to see the others often enough. We grew up calling it sweet milk cuz that’s what my mom called it. BTW she called white bread (better known back then as light bread) lightening bread. My sisters and I still say that. My guess is people are fond of drinking butter milk these days because it just flat isn’t the same thing. It’s pasteurized and artificial cultured, real butter milk, the kind our grandparents (and some of us older folks parents) drank was the thin liquid left over after making butter. 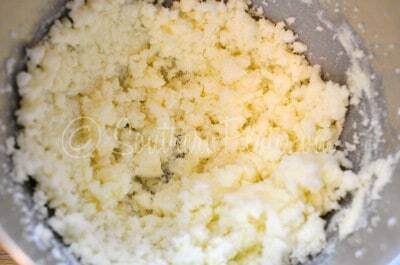 Since it was made of raw milk from their own cows it was naturally cultured. My mom said it was much thinner but tasted much richer than the cultured stuff you get in cartons these days. I love this post! I think we must have had the same grandparents because we always watched HeeHaw on Saturday nights too while my mammaw ate her cornbread in a big glass of buttermilk. What great memories I have from spending time at her house! My paternal grandparents ( of the depression era) always spooned cornbread with ice cold buttermilk. The kids never liked it. That brought back super memories. My Grandaddy used to have a garden and I remember sucking on pure sugar cane while watching Hee Haw. I know I commented on this the other day – guess the internet ate it. She doesn’t use lemon either – just vanilla. And nothing sprinkled on top. If you want to see something neat, go to lulu roman’s website and see how much weight she has lost and her concert schedule. We met her a few years ago at a gospel concert and fan fair and are on fb together.Talk about reliving episodes and laughing until we cried. She is absolutely beautiful inside and out… and loves southern cooking. Maybe your book paths will cross! Praying for your safety in travel. I also used to watch Hee Haw with my grandparents! And sang along with the Pfft song. And every year, when we took a road trip from SC to Memphis to visit family, I’d beg to see Shotgun Red as we passed throug Nashville. Thanks for bringing back those memories. I’m a Northerner, so trying to figure out what to do with most of a quart of buttermilk could have been a challenge…but as a Southern Plate reader I knew immediately where to turn. This is the first recipe I have tried on here and wow, is it yummy! I baked the pie crust first by accident but it still turned out delicious. 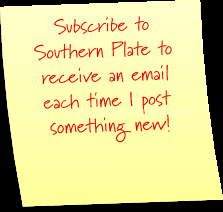 I recently returned from a vacation to North Carolina and feel like reading Southern Plate keeps me in touch with so many things I loved while I was there. 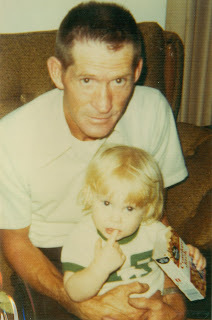 Christy, I love the pix of you and your grand daddy, he looks too young for a grandpa. I use to do the same thing with my grandpa on saturday nites. 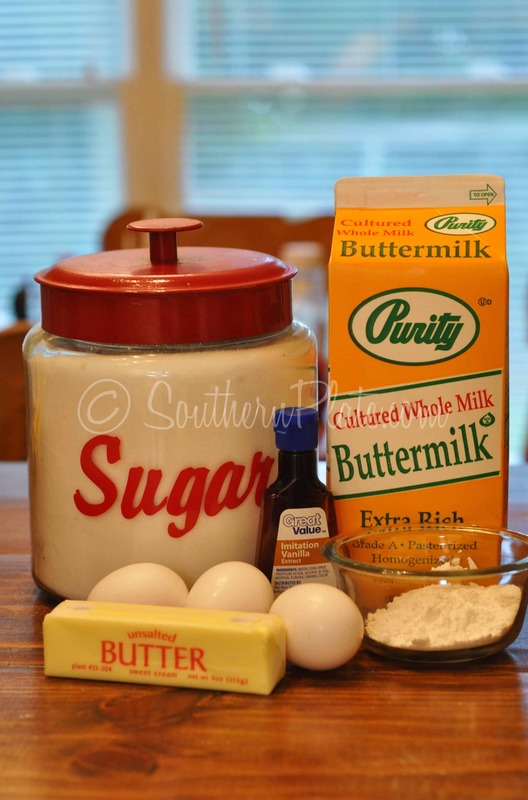 I am going to make this buttermilk pie! How do I post pictures on a post? Just wanted to let you know that I made this pie for the 4th of July. It was absolutely one of THE best pies I’ve ever eaten. The filling was sugary and creamy and went perfectly with the flakiness of the pie crust. I served it with a bit of whipped cream and some fresh blackberries on top. It was perfect. Christy, I could not believe it when I read your post. I am sitting here with tears in my eyes, remembering HeeHaw nights with my grandparents. I remember the color and feel of the couch I used to sit on with them. If I recall, we used to watch Porter Wagner that same night too!! Place all ingredients in blender. Blend thoroughly. 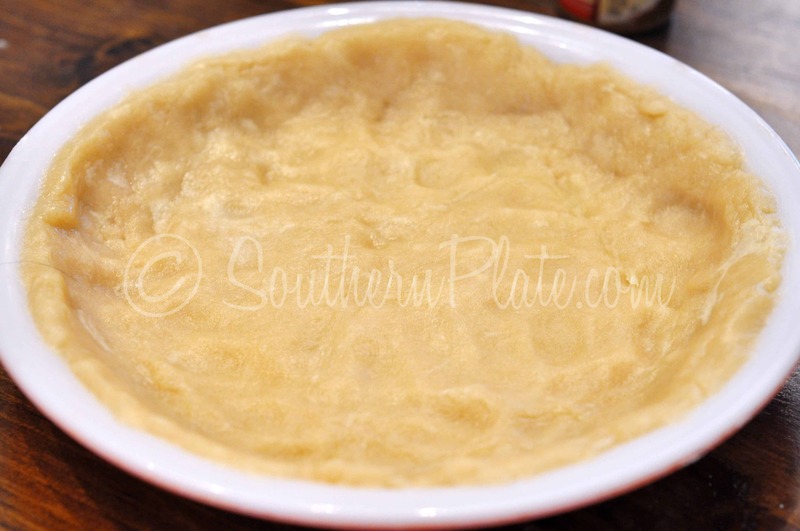 Pour into 9-inch greased pie plate. Bake in 375* oven for 50 minutes or untill done. Bisquick will combine to form crust on bottom.